Pebble, a leading name in the world of mobile accessories and user-friendly gadgets has launched PCC3M Car Charger that makes your car smarter. While letting users talk hands free and drive safely, it gives the power in their hands as they can charge devices on the go perfect for those who does not have in-built Bluetooth in their cars. 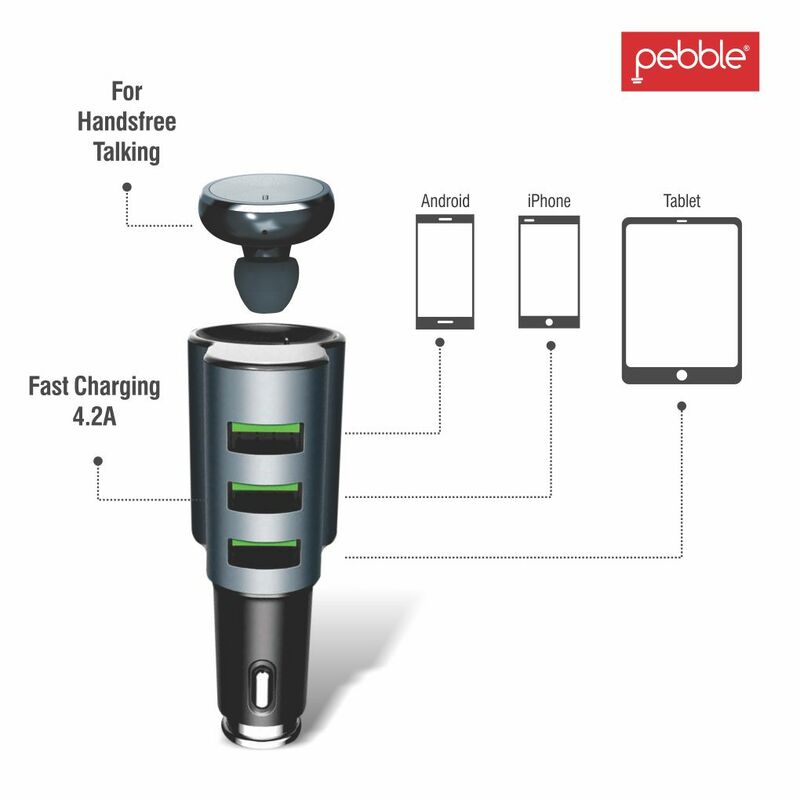 Versatile enough to work with all types of Smartphones, this multidimensional charger thus combines two benefits into one smart and sleek device. 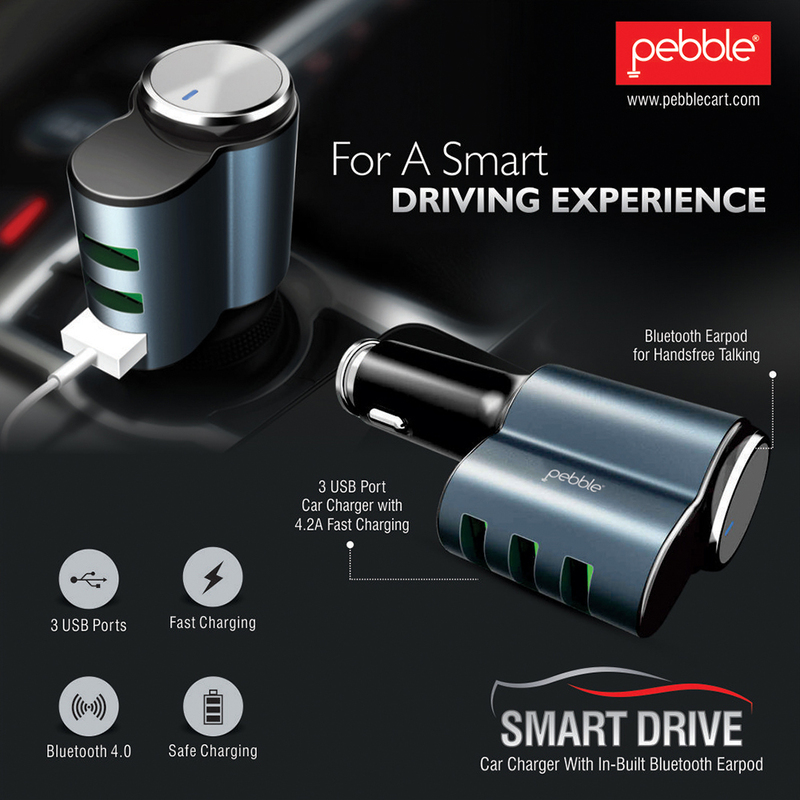 The PCC3M Smart Drive Car Charger has clearly been designed keeping today’s users’ needs in minds. Many of them spend substantial amounts of time in their cars getting to places. Now they don’t have to worry about their Smartphones running out of battery as they can be charged as they are on the move. The charger has three USB outputs to ensure that three devices can be charged at the same time. Its 4.2 A output enables it to charge Smartphones at ultra fast speeds. 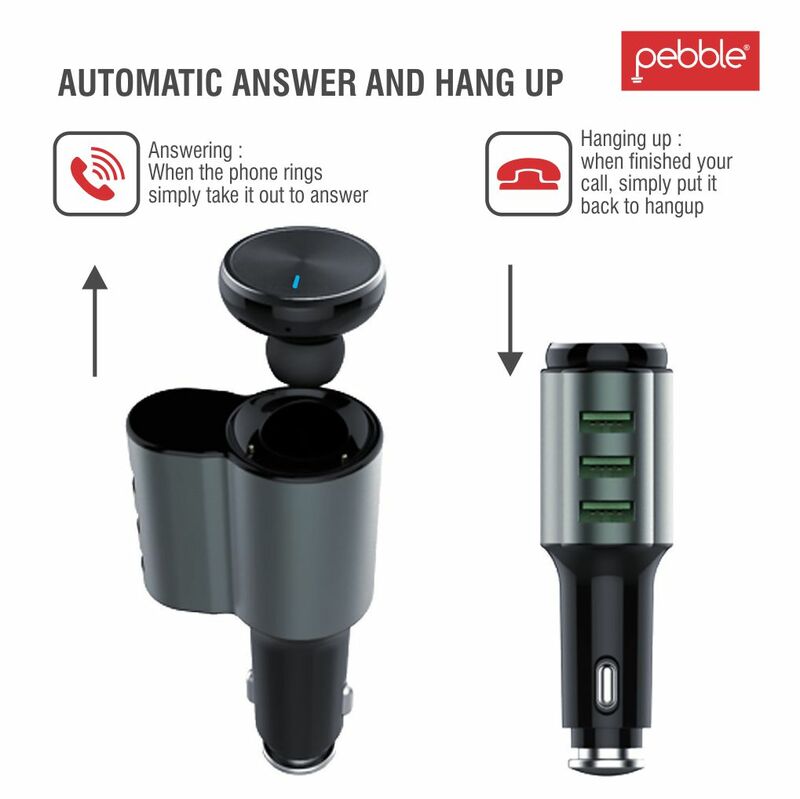 The fact that Pebble clearly has the finger on the pulse of modern day users is evident from the in-built Bluetooth Ear pod in the PCC3M car charger. This Bluetooth 4.1 ear pod offers users the luxury of hands free calling so that they can focus on the roads and drive safely. The Mono Bluetooth Earbud ensures that you receive the best audio quality possible & the Ergonomics Earbud make sure that these Wireless Earbuds are always sitting comfortably in your ear. It is equipped with a charging dock for the ear pods to keep them charged at all times, also packed with some smart features like Auto-charging, and auto-power off which make sure that it never wastes energy. 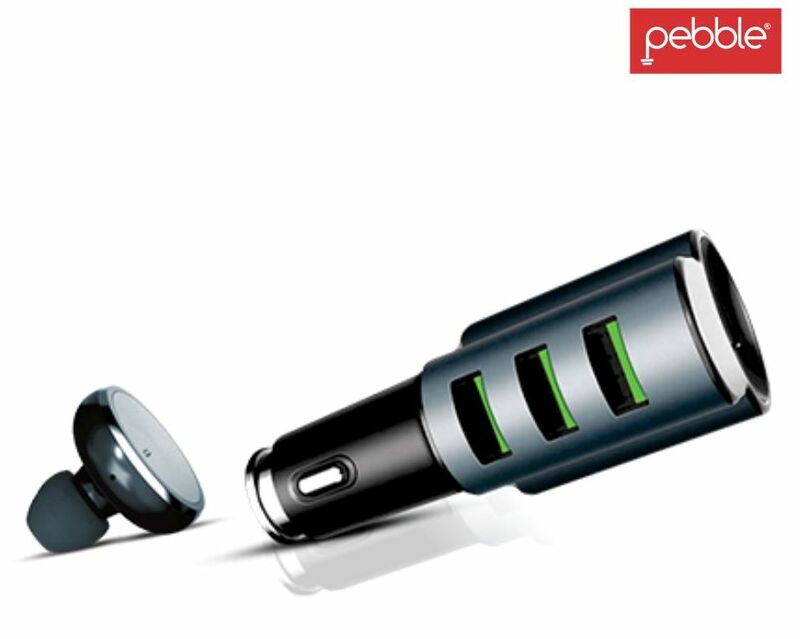 Its performance and utility is backed by strong magnetism, which means the ear pods are never lost.